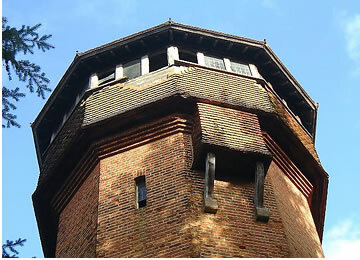 Cawston Water Tower is a Grade II listed building and is the only ten-sided water tower in the country. It has been converted into a two-bedroom house. The living accommodation on the top floor has been designed to sit within the original tank room. The existing four floors provide a kitchen and bathroom on the ground floor, recording studio on the first, dining room on the second, bedrooms on the third and the living room on the fourth floor. New stairs have been constructed within a half hour fire resistant enclosure. Means of escape is one of the key issues that need addressing when converting unusual buildings such as water towers – of which we have extensive experience.